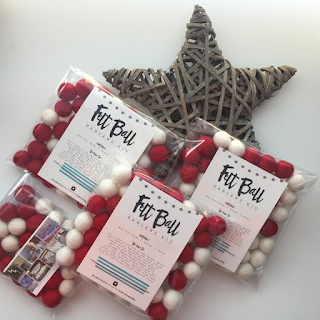 If you thought the name Mint Imprint sounded familiar, you'd be right! The gorgeous Ally from Mint Imprint is the very same that designed the amazing printed material for Miss C's Minnie Mouse themed 1st birthday. 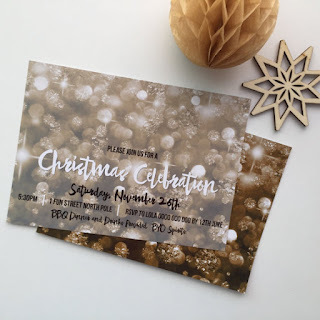 This time Ally is back on the blog sharing some new (and stunning) Christmas themed printed material and goodies that have just been added to her Etsy store. As we all know, I love a bit of glitter and sparkle (especially at Christmas), so this printable wall art is me! This design also comes as an invitation, perfect for those Chrissie parties you have coming up at your house or workplace. 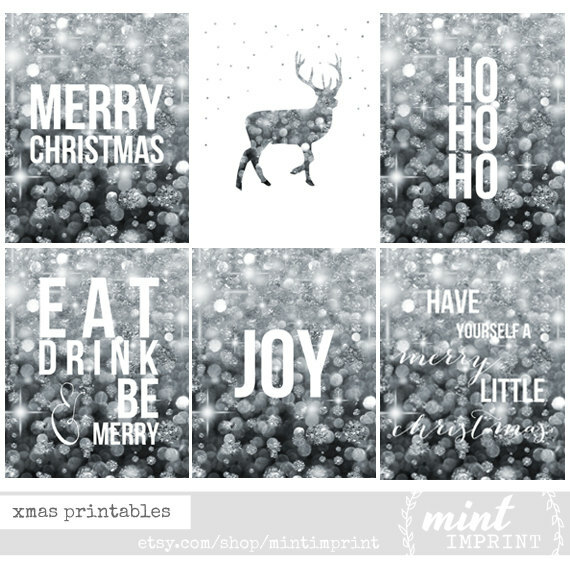 The printed designs also come in a silver scheme if that is more your thing! 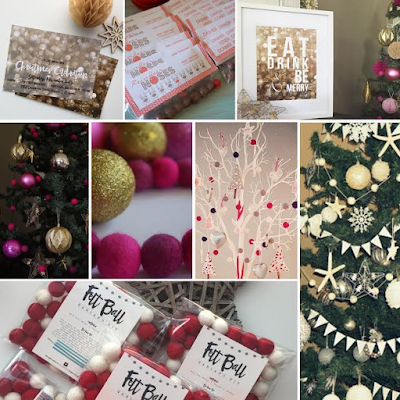 This year Ally has her popular felt ball garland kits available in some traditional Christmas colours. These look just beautiful as an alternative to the old tinsel on the tree! If traditional is not your colour theme, then you can have the kit made up in a huge variety of shades (32 to be precise!) to suit - this grey, white and turquoise combo is just beautiful. 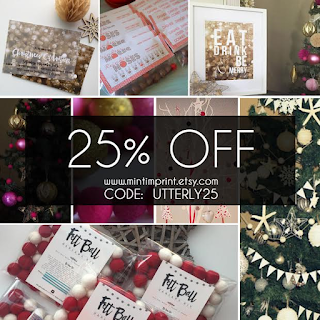 As an exclusive offer for Utterly Organised readers, use the code UTTERLY25 at the checkout in the Mint Imprint Etsy store to receive 25% off your purchase. This offer is valid until 24 December 2016. One lucky reader will have the chance to win a Mint Imprint Christmas set. 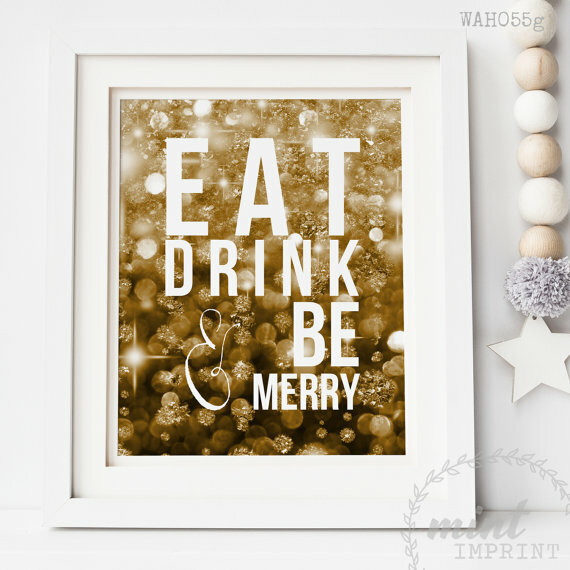 This will include the Eat, Drink & Be Merry Print (valued at $15) and a 50 Felt Ball Garland Kit (valued at $25). The Felt Ball Garland kit is available in traditional Red & White, or can be made up in colours to suit an alternative Christmas scheme - up to you! To enter, please follow the Rafflecopter prompts below noting the Terms & Conditions of entry. 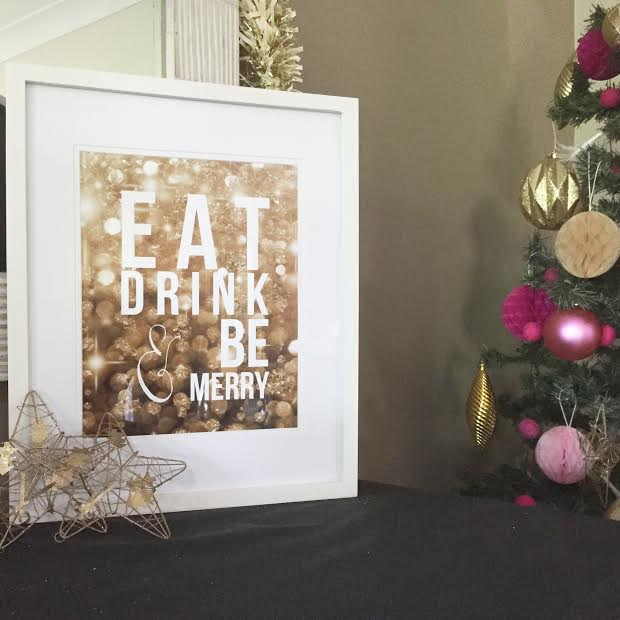 All entries MUST comment below this blog post as to what colour scheme they'll be decorating in this year for Christmas. Please ensure your comment includes your full name to be verified. My colour scheme will be ruby red, grass green, and gold. I like the tradtitional hues. Hi There! Please ensure that you add your full name to your entry as per the T&C's. Thank you! Is eclectic a colour? 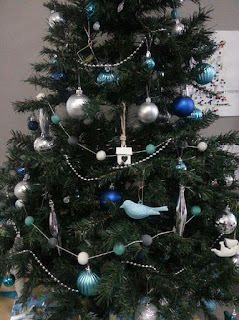 as my theme will be a rainbow of colours as it will have all the homemade ornaments my kids have given me. Pink and silver, with a mix of glitter. Im the biggest girly girl i know, totally obsessed with pink, so it had to be done. We tend to go with a colour scheme that looks like unicorns threw up. A bit of everything. 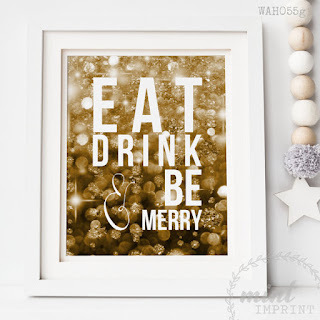 My Christmas colours theme tend to be the classic Christmas colours - red, green and gold. So, I normally decorate around these three colours. Thank you.